The following is a list of 10 reasons why you should jump on the raw organic coconut oil #chic beauty bandwagon. Natural Makeup Remover- #Coconut oil oil is cleansing and it will remove makeup like a champ. ​ A coconut oil based makeup remover facial cleanser will surprise you with its ability to provide protection from clogged pores and breakouts while quickly removing stubborn waterproof mascara as well as foundation and facial makeup. Lip Balm- Raw and Organic coconut is a great way to hydrate dry chapped lips. Commercial lip balms are typically formulated with toxic ingredients like mineral oil, propylene glycol, and unwanted artificial colors and synthetic fragrances. Coconut oil will moisturize, nourish and hydrate sensitive lip skin naturally you will love it's light natural fragrance. Facial Cleanser- Raw and #Organic coconut oil is great for cleansing any skin type. It is naturally non-comedogenic so it will not clog pores making it helpful for oily skin and it's naturally gentle nature will not strip or irritate skin. Therefore if your skin is dry mature or sensitive it will leave your skin nourished energized and smooth. ​ Gentle Shaving Cream- The warm weather calls for smooth legs and underarms as you begin to wear the cute shorts tank tops and swimwear. The only way to ensure that your shaving experience is cut-free lather up with SKINNY & CO. coconut oil as an essential first step. It's easy to DIY coconut shave cream with this recipe. Deodorant- Many of the commercial deodorants on the market today, including some of those that claim to be natural are made up of harmful chemicals you should avoid. Those same chemicals may cause irritation to the pores and hair in the armpits. Using coconut oil is a simple and harmless way to stay fresh as the natural lauric acid in #raw coconut oil naturally destroys smelly bacteria while gently soothing your sensitive armpits. Dandruff- Because of it's amazing moisturizing properties, coconut oil can help reduce itchiness and flakiness of the scalp. Tattoo Ointment- When you use coconut oil on your tattoos, it can help in preventing the fading of the pigment. If you have a new tattoo, use it to speed the healing time. It will also help prevent any infection. Weight Loss- Coconut oil has a thermogenic or calorie burning effect. Coconut oil has been proven to boost metabolism because its primarily made up of medium-chain fatty acids. Medium chain fatty acids (MCFAs) speed up metabolism because they are easily digested and converted into energy unlike long chain fatty acids (LCFAs) that need to pass by the gallbladder to be broken down into simpler chains for it to be utilized for energy. A 2009 study found that women who consumed 30 milliliters (about 2 tablespoons) of coconut oil daily for 12 weeks not only did not gain more weight, but actually had lowered amounts of abdominal fat, a type of fat that is difficult to lose, and contributes to more heart problems. 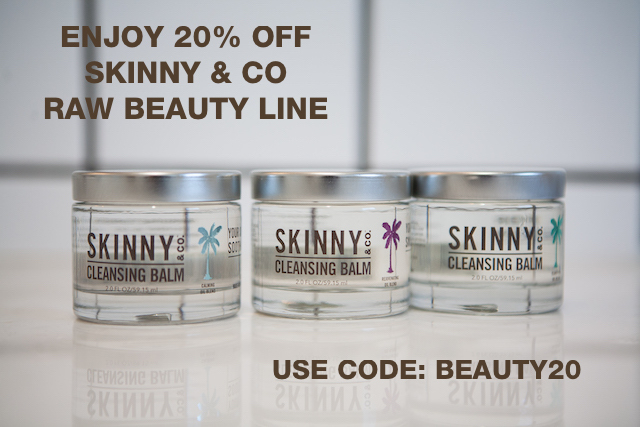 I hope by now you are convinced that no GreenSistah™should be without coconut oil, I have added a 20% off coupon below for you to use for the Skinny & Co. coconut oil line. It is the only truly raw coconut oil on the market and therefore maintains all of it properties to ensure you get the results you are seeking, and it is GreenSistah™ approved! Your purchase will not only enhance your beauty but it will also help support this important work of empowering you to eliminate toxic chemicals from your cosmetics.